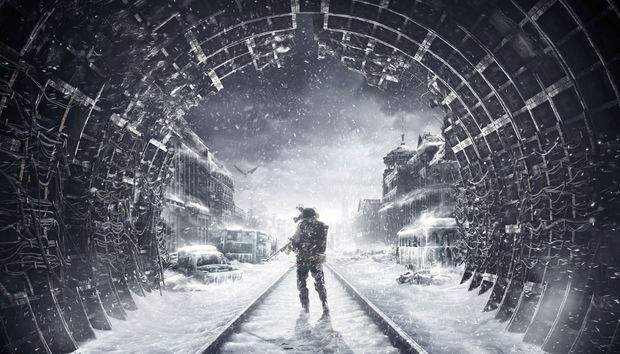 Metro Exodus is incredibly ambitious. I knew that as we headed into our hands-on demo at E3 this week. I'd heard it was a pseudo-open world game, almost more akin to S.T.A.L.K.E.R. than the Metro games before it. But I don't think I'd completely internalized those thoughts, because Metro Exodus is way larger than I ever imagined. Overwhelmingly so when you only have an hour to see as much as you can. Exodus is an appropriate name. 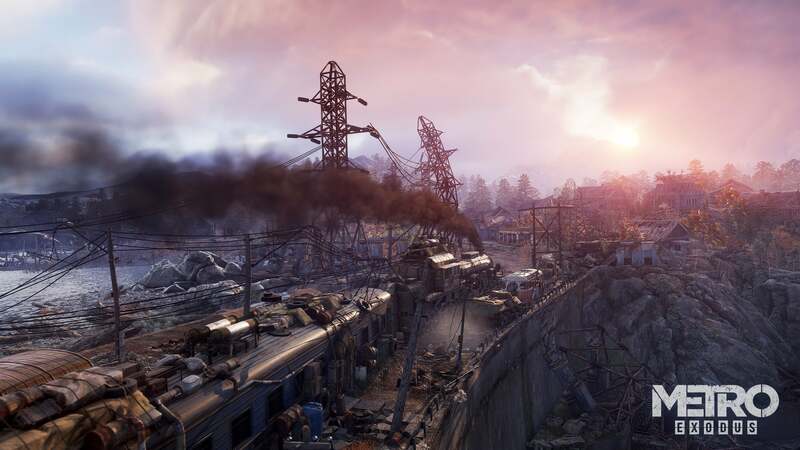 For the first time Artyom is leaving the bombed out ruins of Moscow, via train. As we rushed down the tracks at the start of the demo though, our way was suddenly barred by a barricaded encampment—an ambush. The perpetrators retreated after shooting up the train, leaving us stranded in the Volga. The scenario might sound familiar to Metro fans. After all, the previous two games were spent traveling from subway station to station. What's really different about trains, aside from the scale? Scale is important though, and the Volga is larger and more open than any environment I've seen in (or expected from) a Metro game. Both 2033 and Last Light were pretty great at providing players with a multitude of paths, but the title belies the scale. The cramped and dirty subway tunnels make for a claustrophobic corridor shooter. In Exodus, the Volga is a vast snowy wasteland, dotted with ruined houses and a crumbling church and downed airplanes and icy rivers and just so much stuff to see. It's hard, playing a demo for a series you love. I've spent a lot of time with both Metro: 2033 and Last Light, and I know how I prefer to play those games. It's slow and deliberate, cleaning the supplies out of every last dusty corner. Creeping up on enemies and knocking them out. Doubling back to make sure I've seen every room in every building. And so as I reached the halfway point in my Exodus demo, I realized with horror that I hadn't even made it to the mission marker yet. I kept getting distracted, climbing into the backs of trucks to snag supplies, stripping weapons for parts, turning over corpses to steal their last meager possessions. To its credit, I found this all interesting. Metro Exodus is bleak, and never more so than when you're on your own, creeping through the abandoned remnants of a dead civilization. My favorite house in the demo, I crawled in under a broken board and was confronted with dozens of beer bottles, all stacked on the floor. Five or six corpses resided nearby, along with a fishing line hanging out the window and a dusty accordion in the corner. A makeshift bar? A bastion of survivors whose luck finally ran out? Russia's version of Howard Hughes? Exodus hints at stories hidden right under the surface, if you're willing to tease them out. Still, I supposed I should probably see some of the actual, written story while I had the time. Thus I rushed my way over to a church, half-submerged into the surrounding lake. The guard at the gate told me to holster my weapon, and I obliged before paddling my way into the hall. A priest of some sort ranted about the dangers of technology, that electricity and machinery were evil. Metro's always been at its best when exploring how survivors have transformed into their own niche societies. In 2033 it was the Nazis and the Communists and then the subway denizens trapped in between. Here, given the size of Exodus, I expect we'll see even more variety. These particular religious fanatics weren't quite so peaceful as they pretended. I paddled on through their church, and was suddenly trapped in a back room, the priest calling me a heretic—a result, I guess, of the fact that I was there to check on someone we'd seen up in the belfry. I rushed up the stairs and found a woman with her daughter, both kept prisoner by the priest below. All hell broke loose, as then another faction—the Bridge Guards—showed up with guns and tried to hunt me down. I hid and eventually escaped out the back, rowing to safety before being attacked by a mutant whale, barely escaping the icy pull of the river. Then it was the usual mutant shrimp, who swarmed me right as I got to safety and burned through all my ammo. Metro Exodus doesn't let up. Like its predecessors, Exodus is great at pushing you to the brink of disaster. Even the best plan is merely a suggestion. And to be fair, Exodus gives you many more tools for dealing with contingencies. You can now craft supplies on the fly, including additional med kits or ammo (at least for simple weapons like the iconic pneumatic rifle). You can also change weapon attachments out in the field, putting on a new gun sight or a silencer when the situation requires it. 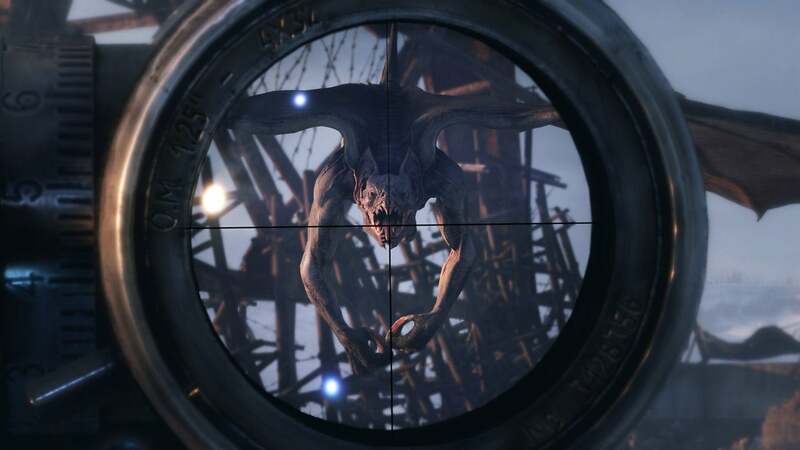 But there's always one more enemy than you expected, one more mutant hiding under the water and waiting for you to walk by. The Volga hides danger everywhere. A simple walk to your next mission can take you through two enemy bases, or past a wrecked truck just slightly out of reach. Always there's the call, "Maybe...maybe I should just check it out." Maybe you don't though, and that's another aspect I like about Exodus: You don't really have to do a lot of this. You can, and I will. I'm that sort of completionist. I want to hoover up every last bit of scrap. But Metro's always been more a spiritual successor to S.T.A.L.K.E.R., keeping the Soviet influence but turning it into a linear shooter. Exodus returns to its roots, opening up a world and filling it full of systems and then turning you loose. The enemy bases I mentioned above? Sure, you can kill everyone in a shootout, or you can snipe everyone from afar, or you can just walk around it. Nobody's saying "You have to go in there." Even the story missions I played gave me a destination and then left me to my own devices. As I said, it's overwhelming for a demo. Fast-and-frantic is definitely not how I play the Metro games, and despite its size I'm sure I'll end up playing Exodus in the same stealthy fashion as always. 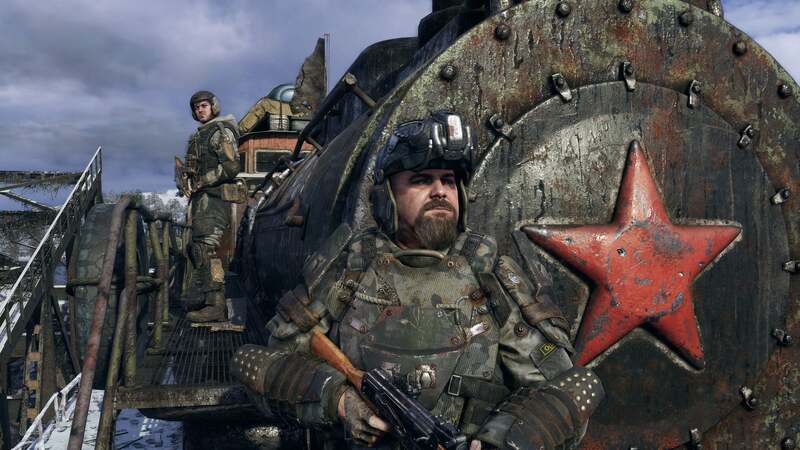 The Volga was gigantic and it's just one of many areas in Metro Exodus. That's why I say it's pseudo-open world, by the way—you'll still progress from map to map, same as the previous Metros. Those maps are just much larger than before, qualifying as "open worlds" in their own right. That prospect is exciting to me, as a fan of both S.T.A.L.K.E.R. and Metro. 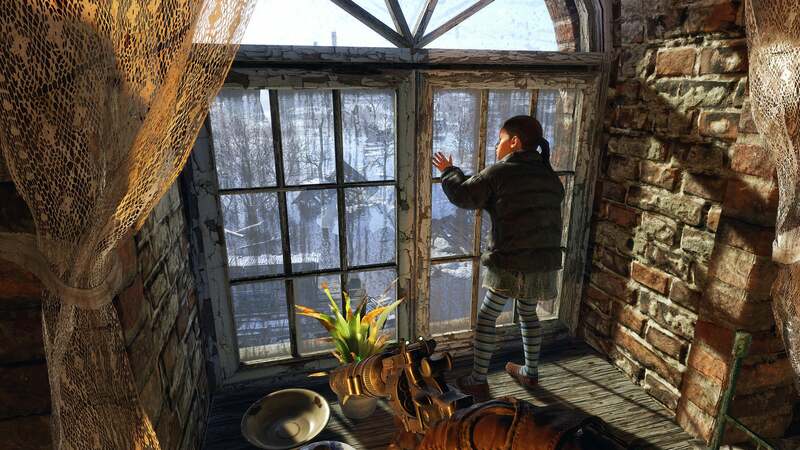 Exodus feels like a blend of the two, tying Metro's grim story to a more varied experience. I can't wait to play more, if only to see whether those suspicions prove correct.